Acceptance #AtoZChallenge @AprilA2Z - A Rose Is A Rose Is A Rose! My theme for this year’s Blogging from A to Z April Challenge is Cultivating Happiness. Today, A is for Acceptance. “Your husband must be proud of you”, she said. Accept yourself for who you are. Until you accept yourself you will never cultivate genuine happiness. Change when necessary but accept the wonderful being that you are. Accept others because you can’t change them. The more you accept and the less you try to transform others, the happier you will be. 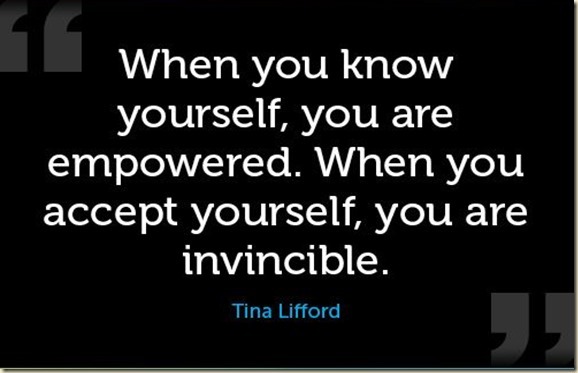 I love the saying by Tina Lifford. Glad that you added it to this post. Great A post Shilpa! 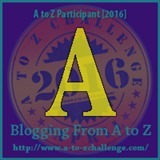 It is fitting that the first 2016 A to Z official comment I leave is on your blog, Shilpa! Looking forward to your near-daily nuggets of how to cultivate happiness!!! True, accepting who you are is the first step towards happiness. Thanks a lot, Vinay! Glad you liked it! Well, you took me by surprise. But it’s true, eh? We often don’t know, or understand, our worth. And yeah, you’re probably right., We’d be happier if we did. you are the queen of 55 fiction 🙂 Awesome as always, loved it. So true, so true, Shilpa! I love micro-fiction–looking forward to reading you 🙂 This is my first A-Z Challenge … but in the U.S. it’s still 3/31! What a perfect post to start off my A to Z Challenge! I look forward to reading more! Haha that is a good one. Shilpa, you have started the Challenge with a bang. Self acceptance boosts self esteem. Oh yes, when we embrace who we are the world embraces us right back and that’s so good for our self esteem. Thanks Ajay! Glad you liked this 55er! It is so so important to accept ourselves the way we are. 55 words and a lovely message you got there. Good one Shilpa! True that, when we accept ourselves with our flaws, quirks, talents, secret thoughts, we experience true liberation. Thanks Parul! This post is something that all of us need to read. Specially all my teenage friends who’ve lost confidence in themselves. I’m going to share it in my whatsapp groups. I think the first step — that is of one knowing oneself is the biggest step and probably the toughest.. and once you get this done..accepting becomes easier!! Oh yes, knowing yourself, freeing the blind spots is critical. Wow! what a great start! indeed it is so important to love oneself first! An important lesson for life expressed beautifully. A smile spread on my face after reading this 🙂 Wishing you a great month of April. I love your theme and the post. Powerful message in just a few words. Yours is the second beautiful post on Acceptance. Self-love is the greatest love of all! 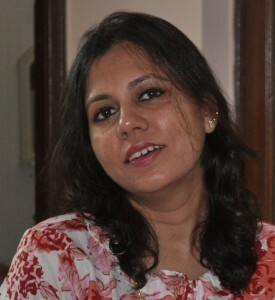 Thank you Shilpa – looking forward to reading your spots. Love your theme! We picked same words for today. But that was to be expected, right? Happiness begins with acceptance after all! Yeah, I decided to join in again! I got a really nice comment on my theme reveal post last night, and it got me all emotional. So I entered again! I don’t know how long I’ll last though. I quite like me. Most of the time anyway! Happy A-Z. That’s fantastic, Keith, that’s how it should be. Superb… I repeat what I always say. You are among the best I know when it comes to weaving emotions in such short bursts. … and you’re off with a bang. This is so good. Wow, loved it as always!! This is exactly how I think! Beautiful! I’m there for myself, even when no one else will be. Especially when. Nothing like accepting and believing in yourself. Nice one, Shilpa! Accepting oneself rather than wait for other person to pronounce their verdict is wisdom. And what a lovely write-up in just 55 words, Shilpa. This is a fab start to the challenge. Great start for the A to Z challenge. Loved your post, Shilpa !!! Agree with you, Jayanthi. And one has constantly prove self time and again. Thank you! Good luck to you too! Yes! I one person who matters the most is truly yourself! Absolutely! Hope all of us believe that! so true shilpa and that’s a great start to the challenge ” Accept yourself and change when necessary…..” . Will be with you through the challenge cheering you all along!